German ex-Chancellor Helmut Schmidt has died at the age of 96, his office says. He served as West German Chancellor from 1974 to 1982. 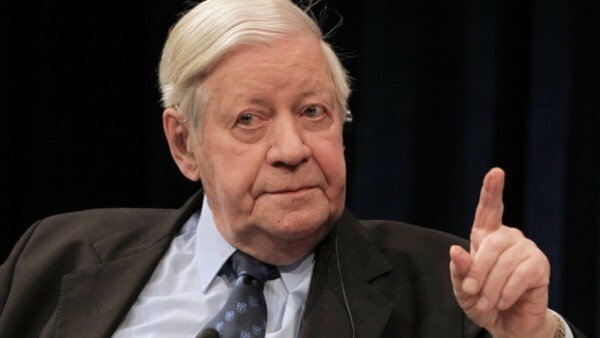 Helmut Schmidt, who was a Social Democrat, was an architect of the European Monetary System, which linked EU currencies and was a key step on the path to the euro. He was credited with helping to consolidate the country’s post-war economic boom. Helmut Schmidt is seen as one of the most popular German leaders since WWII. He died on November 10 in Hamburg, his doctor Heiner Greten was quoted as saying by German media. The doctor provided no further details. By 1972, Helmut Schmidt was finance minister in the government of Willy Brandt, a brilliant manager of the economic miracle. Two years later he himself was chancellor.